This recipe epitomizes late summer with gorgeous tomatoes, luscious nectarines and fragrant basil. It’s super simple – just kind of let the ingredients be their amazing selves with some tasty accents like salty ricotta salata cheese and crunchy hazelnuts. You can divide this recipe up among 4 salad plates or arrange all the ingredients on a big platter for serving a crowd. It’s a stunning presentation for a summer party. Preheat oven to 400 degrees. Place hazelnuts on a rimmed baking sheet and bake for 20 minutes until lightly toasted, shaking pan occasionally. Remove, cool and roughly chop. 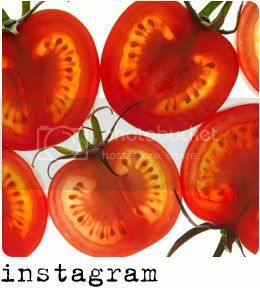 Slice tomatoes horizontally into thin slices – about 1/8 of an inch. Quarter nectarine and slice each quarter into thin wedges. Arrange tomatoes and nectarines on salad plates or a big platter, slightly overlapping at the edges. Scatter toasted hazelnuts, ricotta salata and torn basil over tomatoes & nectarines. Drizzle with balsamic vinegar, a bit of olive oil and finish with a couple pinches of sea salt & fresh ground pepper. Ummmm my mouth is watering and I don't eat tomatoes!